Have you ever been somewhere, done something that make you say "Ahhh" and feel like spreading your arms out wide and dance a little happy dance? I decided to take Saturday, last week, off from making all the Mother's day cards I have to make for a womens group I belong to. I belong to a women's breakfast club and every year I make at least 20 Mother's day cards to sell to the group. This past weekend, my husband and I went on our usual market scouting. We went to Red Hill, Market, Melbourne's, "Grand Dame" of markets. I have always liked to visit the craft markets to get creative ideas and to ensure what I am making is unique. Of course I love to do my "grandma shopping" at the markets. I think by buying handmade items at the markets I am supporting other artist and I also like buying one of a kind items. 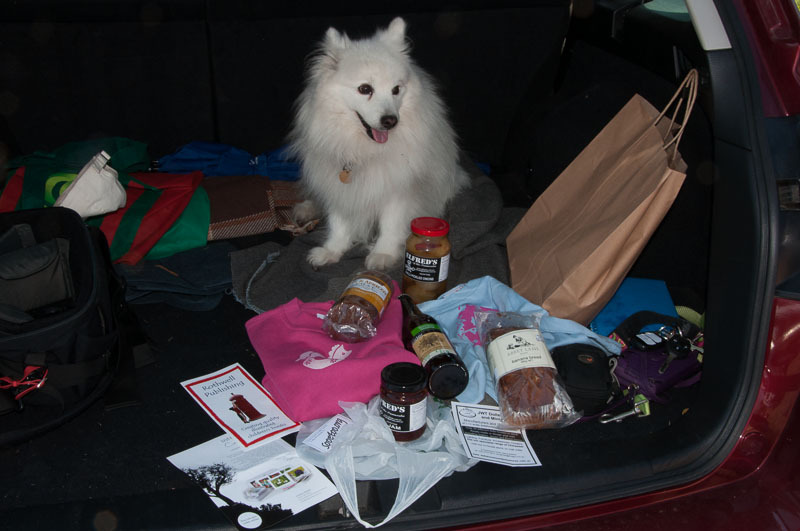 We bought several items at the market. I picked up some amazing Chilli Jelly. My mouth waters every time I think of that smooth flavour and the bite at the end of the taste. YUMMY! After the market, I decided to go on a road trip. My husband always says my son's and I have my father's love of the 'road trip'. I remember as a kid I use to have this feeling of wonderment, joy and peace every time my father would take us on a road trip to see the mountains or the sea. There were many places I remember visiting in North Carolina, and Virginia, but the mountains and the ocean were the places that always made me feel like I belonged there, and I was at peace. I went back to NC to visit my family in Jan 2013. It was a mild winter and I spent nearly every morning going to breakfast with my dad. After my favorite breakfast of grits and an egg (over easy of coarse), my dad always liked to go for "road trip' around the country side of the Randolf, and Davidson county areas of NC. It is a rural area with plenty of open country to explore. I loved hearing my dad's stories about all the people that lived in the area, seeing all the old homesteads, the red barns and the one thing NC is famous for, those old tobacco sheds. Every time I go back to visit my family I feel that same feeling again, peace, joy, hooome.... However, there is one place that my dad has taken me several times and that is back to the place of his birth, and the place near where his family settled when they came to America as settlers, Pilot Mountain, NC . 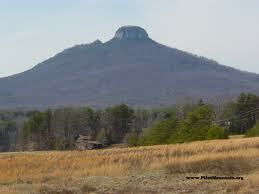 Visiting Pilot Mountain, NC always reminds me of my first love, the mountains. The beauty, the art of nature! Nature is a living breathing art that surrounds us every day of our lives. It is certainly the inspiration for my painting. 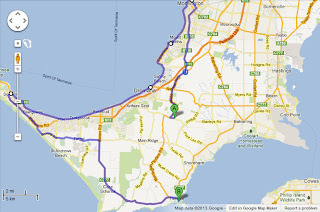 Our 'road trip' on Saturday morning, last week, my husband and I went to several areas of the Mornington Peninsula (http://www.visitmorningtonpeninsula.org/). 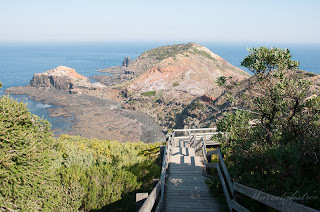 The one place that made me think back to that first love of the mountains, and made me stand in awe of this planet we live on, was at Cape Schanck, VIC. (http://en.wikipedia.org/wiki/Cape_Schanck,_Victoria). Looking at the limestone formation that overlay the volcanic basalt formation, reminded me of my studies at Flinders University, in South Australia. It brought back many happy memories of all the things I learned about Geology at Flinders University came flooding back. The beauty of nature. That old feeling of first love, that feeling of peace, and that feeling of home all came flooding back in a rush. It may not have been the mountains of my childhood, but just seeing those rock formations and remembering how fascinating nature is. I felt again that wonderment that nature is art and I am surrounded by so many influences for my art every day. Yes, I live in a city, a very large city! My husband says it is like living with a caged animal sometimes and that my whole demeanor changes when we go 'bush'. He's right about that! I really enjoy going to all the amazing places in Melbourne, but I just have to get out in the open air with 'no 4 walls' now and then. Though I have been many places in my life, lived in 2 countries, traveled most of both my birth country and my adopted country, but one thing always makes me feel free like an eagle soaring. That is when I go "bush", in the country of my birth or here in the country I currently reside. (Bush is an Australianism term.."Bush : the hinterland, the Outback, anywhere that isn't in town" ) The colours of nature are so rich I want to get out the paint brushes and paint what I see. I am never sure I would ever capture the diversity of the colour I see but I certainly give it a try now and then. 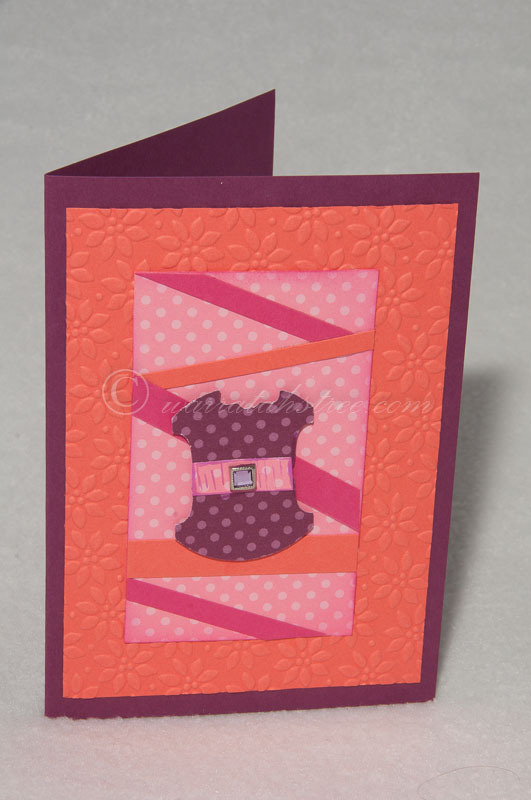 Now back to reality...I have a whole week ahead to get moving on some Mother's day cards. Your cards are gorgeous!! Love going to markets! Your pics are beautiful. Thanks so much for stopping by! Thank you. I am glad you like the cards. It helps to know what to make for markets when people comment on my work. I love going to get unique things at the markets. So much fun. Thanks for sharing your story; they're beautiful just as those picturesque photos. I so enjoyed your post. You have wonderful writing skills. I am a South Carolinian. I have lived here for almost 60 years and have fond memories of the old mountain or the sea debates in our family. My daddy was always raring to go on a road trip. In January we were often awakened early to drive to North Carolina's mountains to hunt for snow. Summers were spent at Myrtle Beach. Thank you for sharing these wonderful memories. Thank you, I wonder sometimes if my writing is to rambling. I am glad you enjoyed the trip down memory lane. Road trips are so much fun...so many places to explore. Thank you for visiting my blog through Bloglovin' Blog Hop! I love going places that feel like home....my place is The Thousand Islands on the St. Lawrence River in the Northeast. I cry whenever I go there for all the memories there are! Following you! Glad you liked my post. I get all teary too when I go to Pilot mountain in NC. Get homesick somethings thinking about it. Well that was a fun post to read! Great pics too! I lived in Montana for 8 years and I miss the mountains everyday! Following you on bloglovin and GFC because, well...times are curious! Oh...and just so you know ....you'll get a lot more comments if you remove the word verification from your blog. Google does an awesome job at filtering spam. Promise! Thanks for letting me know about the word verification. I have turned it off now. Still learning about all this and what works best. You have such talent! Wow your blog is incredible! Thanks for stopping by mine and saying hello :-) TGIF! Thank you Jenna. I am glad you like my blog. TGIF was fun. I like visiting all the different blogs. Hi Lovely, I am your new follower from Blog Hop. Followed you via Bloglovin' & GFC. Love your awesome blog! Thank you for the follow. I have refollowed you. Hey Amy Thanks for the visit. I am glad you like my road trip memories. Come back any time. Thanks Bev. I will head over there now and follow you back. Thanks for visiting and come again anytime. Beautiful cards. Following back from the Social Mix blog hop. Thanks for linking up back at my place. No worries. I like blog hops and link parties, so many interesting things to see on everyone's blogs. 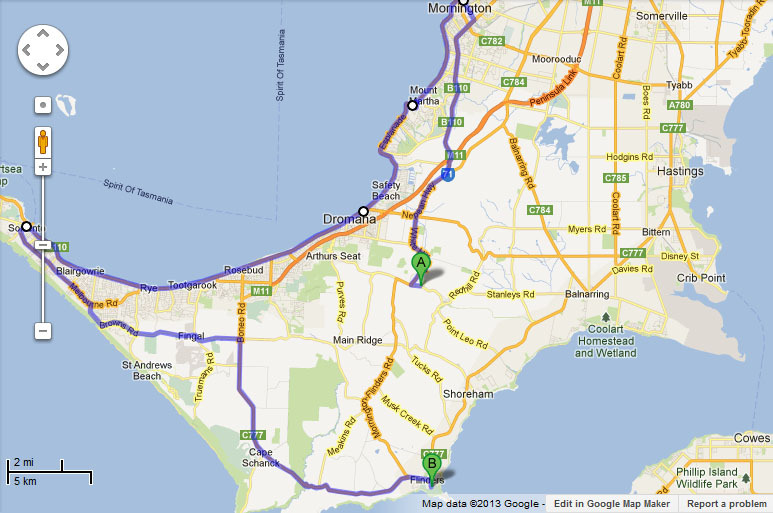 We used to have to drive for around 12 hours to go to my gran's when I was a child. The memories are mixed! I liked planning what to take on the trip, the things I would read and the games we would play but I was car sick... The day I could take a tablet which prevented the sickness was a happy one! We are heading to NC Friday. Going to Kitty Hawk to the beach for a week. Have a great trip to NC. Kitty Hawk is a really interesting place to go and so much history in that area. I love road trips!! Your were lucky to have someone like your father to go with. He sounds amazing!! The North Carolina mountains are beautiful. Cape Schanck looks unbelievable! I went to the mountains in Switzerland recently and some places on the planet are just absolutely breathtaking! I really enjoyed your blog and I am going to follow you on GFC. Glad you liked my post. Thanks for following me. I hope I can keep them interesting. I am trying to blog about my market experiences and our camping trips. Thank you for visiting. I think in a world of mass produced items we should support handmade and local...supports our local economy. Thank you, glad you like my cards. Thanks for stopping buy. 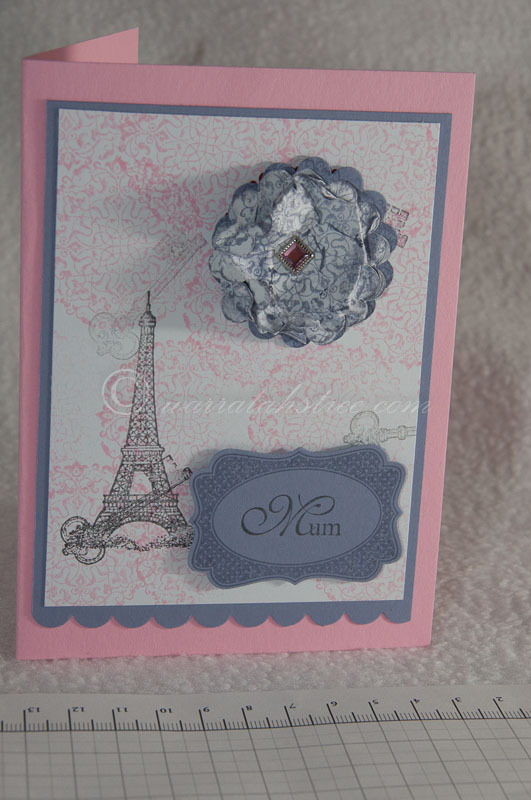 Believe me making cards are easy once you know the basics. I stared with stick on for my Christmas cards, very basic.